The new year has started off great as far as training is going. I am preparing for the inaugural running of the Asheville Half Marathon at Biltmore Estates in March and, after a good look at elevations, I think this half could end up being a PR for me. I am aiming to slowly knock time off my current PR which is held by the Skunk Cabbage Half Marathon in Ithaca, New York. I am using a Hal Higdon plan for half marathon training. Strangely, his plans were the first ones I used when I started racing, after my first 5K in December of 2009. I have managed to move up to the intermediate plan and there is a lot of speed work in it. While I am not adverse to speed work, this plan has tempo runs and 400m repeats. I am starting to love them both but both are more work than my fartleks using utility poles on my road. Even though the plan calls for a lot of speed work, I am not doing it on the track. Actually, in winter here in upstate NY, it is hard to find a track that is not snow covered. I do the speed work on a local road that is not flat. The road has rolling hills. I used to describe the road as flat and, as my routes here from my house go, it is one of the flattest I have. Consequently, when I pull off 400m repeats that are fairly consistent, I think that a PR is definitely in reach. 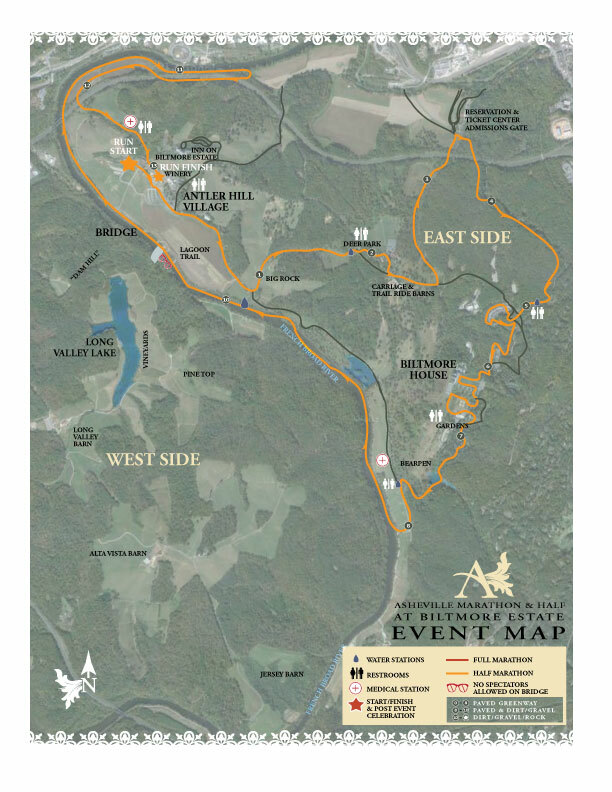 While I have yet to find an elevation map of the Asheville Half Marathon at Biltmore Estate, I do have a map of the course. I will be running my first race of 2014 this weekend. The 10K that is part of the local January Freeze series fits right into my training plan. Probably best I run a race or two before running this half. I will be posting my race schedule through April soon. I also have a few other races planned but am hung up over decisions for the first weekend in May. What races are you training for currently? Do you run races as a part of your training? What speed work do you do and do you do it on a track or a treadmill?